When Precise Tool & Die was founded in 1969 with one lathe and a Bridgeport, owner Steve Hunyadi was worried about competition on the other side of Cleveland. Building a successful die/mold shop that thrived into the ’80s took persistence and vision, and those qualities served the company well as it saw future competition—and opportunity—grow on the other side of the globe. Precise Tool & Die made the decision to move into some part production work, not very high volume by industry standards, but what Corrao calls “precision part production.” With conservative ownership that requires solid planning, this decision wasn’t made lightly. 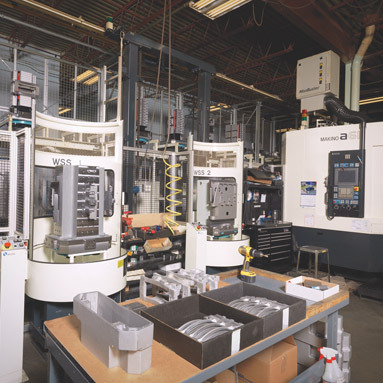 Over the next two decades, the company changed its philosophy and investment decision to move forward with the transition to part production machining. 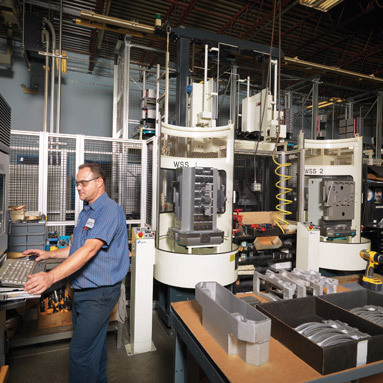 Precise Tool & Die’s initial steps toward precision part production required a delicate balance of preserving its tool-and-die expertise and business relationships while also demonstrating commitment and resolve toward part production and machine automation. 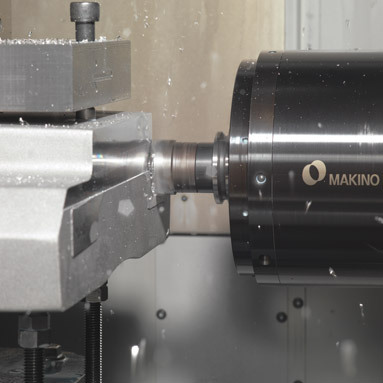 One of the early investments Precise Tool & Die made to find this balance was a Makino S56 vertical machining center. “With the S56, we were able to replace two other verticals, improve our quality and still gain additional throughput,” states Al Large, the production manager at Precise Tool & Die. As the company’s applications continued to diversify, the need for larger work zones became apparent. Rather than searching for independent solutions for both production and die/ mold work, Precise Tool & Die began researching technologies that provided enough flexibility to meet the needs for both simultaneously. The trip to Mason not only satisfied Precise Tool & Die’s immediate need for a larger work zone but also influenced its next phase of production capabilities. While at Makino, Corrao and Large saw a Makino Machining Complex manufacturing cell and instantly recognized its potential for Precise Tool & Die’s production capabilities. Precise Tool & Die’s MMC2 cell has enabled the company to significantly increase its production orders, which now make up 75 percent of its business. In 2009, Precise Tool & Die purchased an MMC2 featuring 24 pallets, Makino’s MAS-A5 cell controller and two a61 horizontal machining centers. The company knew that the equipment itself wasn’t the whole picture, however. Based on the company’s previous experience with Makino, significant value was placed on the training and service that came with the investment. Precise Tool & Die quickly learned to leverage its experience as a die/mold manufacturer with the newfound flexibility of machine automation. 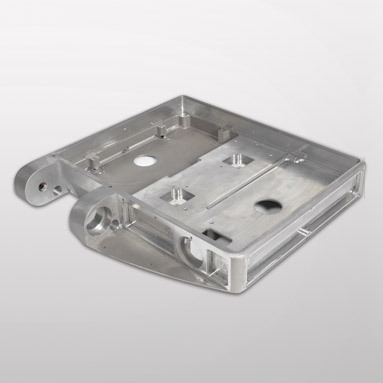 One of the skill sets Precise Tool & Die carried over was the development of custom tooling and fixtures. As it learned from several prior die/mold orders, development of custom equipment may require more upfront time, but the payoff of improved quality and throughput is well worth the wait. The a61 cell is used primarily for precision part production across a variety of industries, including aerospace, defense and medical. Equipped with a 14,000-rpm spindle and high-pressure through-spindle coolant system, the a61s provide Precise Tool & Die with the speed, cooling and improved chip removal necessary to achieve excellent finishes. 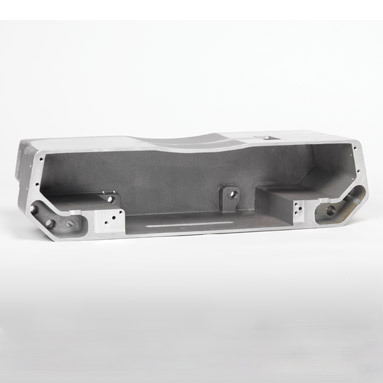 Since installation, the company has reduced hand-finishing labor on its mold work by up to 40 percent across the board. “We are running plus or minus 0.0005 inches, and the Makinos are holding tolerance easily from one run to the next. The repeatability is just there; we don’t have to make any adjustments regardless of material or geometries,” describes Large. With the manufacturing cell consisting of the MMC2 and its MAS-A5 control system, Precise Tool & Die’s ability to set up fixtures one time without breaking anything down provides additional consistency between part loads. The additional use of broken-tool and spindle-monitoring options prevents broken tools from impacting the flow of production by switching to a spare tool, if available, or the next job and delivering a message to the operator to replace the tool. According to Precise Tool & Die, its' manufacturing cell has significantly changed the way that materials flow in and out of the shop. Precise Tool & Die estimates that it has seen a 40 percent to 60 percent reduction in cycle times on all jobs moved to the cell. Citing some examples, the company is seeing jobs that once required five operations on a VMC now take only three operations on the a61s, and jobs that previously took three operations currently require only one or two. Precise Tool & Die has been able to redeploy eight positions to other areas of the shop floor in order to increase efficiency in other departments due to integration in its' manufacturing cell. As Precise Tool & Die has developed its production machining capabilities, it also ventured into the medical industry, servicing parts for CT scanners. One of the primary service components has been a unit inside CT scanners that focuses X-rays for precise imaging. Due to environmental radiation, these parts typically require servicing after frequent use. The entire assembly comprises more than 100 parts, and Precise Tool & Die uses its arsenal of Makinos to refurbish the units, running 80 of the parts between the a61 cell, MCD1816 and DUO64 wire EDM in order to refurbish the units. 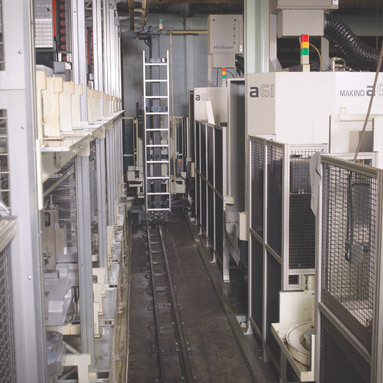 The high speeds and production optimization possible with the Makino machines enable Precise Tool & Die to deliver 30 to 50 refurbished units every week, where the previously contracted shops had serious issues producing the array of necessary parts within quality requirements, much less at the rate the customer specified. Although the performance, flexibility and throughput of the a61s and MMC2 have far exceeded expectations at Precise Tool & Die, it’s the system’s scalability that excites them and drives them forward. “We were probably conservative with just the two a61s and MMC2, but we’re going to change that,” says Corrao. Precise Tool & Die recognized the scalability of production machining capacity that is available with the MMC2, and it knows that the only limitation is the business’ ability to invest in the technology to expand the MMC2 quickly and easily for huge increases in part production."